Taylor Raynor, the mother of two girls and a legislative candidate, is spearheading the group. She said Save Hempstead Students is concerned about many issues, including low academic performance. 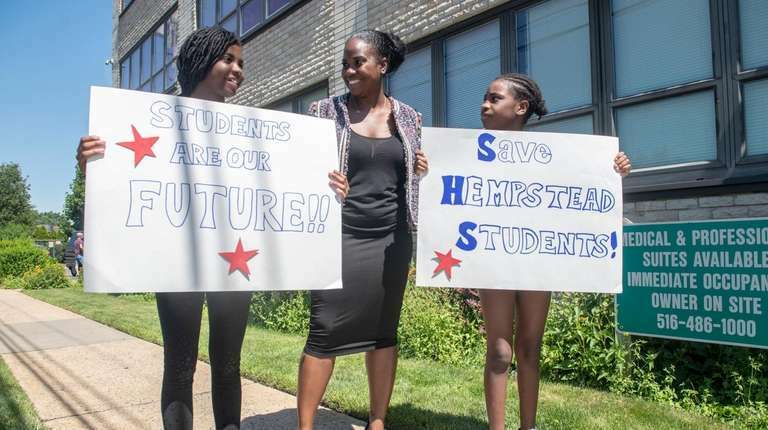 A collection of Hempstead school parents, students and community members announced Monday that they have created an education advocacy group called Save Hempstead Students. Spearheading the group is Taylor Raynor, an industrial organizational psychologist who is challenging state Assembly Deputy Speaker Earlene Hooper (D-Hempstead) in the September primary election to represent the Hempstead-Freeport area. The Hempstead school system is in the 18th Assembly District, which Hooper has served for more than 30 years. 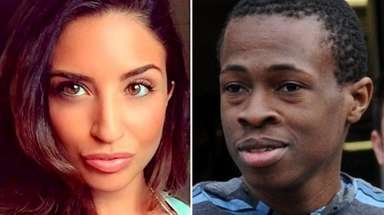 Raynor has a 12-year-old daughter and an 11-year-old niece who attend Uniondale schools. She also has a 4-year-old daughter who will start prekindergarten in the fall. At the news conference, Raynor listed ongoing problems in the district, including poor academic performance, the high dropout rate and fiscal mismanagement. She didn’t lay out specific actions that the advocacy group plans to take, but said, “We are going to brainstorm and figure out ways that we can come up with some real solutions to make the most impact before September.” Classes begin Sept. 5. The 8,000-plus student system has struggled in the areas cited by Raynor. The state comptroller’s office pointed out several flaws in the district’s financial operations in a 2014 audit; the office has said it plans to re-examine the district’s books. Last year, 17 percent of Hempstead third- through eighth-grade students tested proficient on the state English Language Arts exam and 18 percent on the state math exam, according to state data. At Hempstead High School, the four-year graduation rate dropped from 48 percent in June 2016 to 37 percent in June 2017, according to state data. In September, the state appointed longtime educator Jack Bierwirth to advise the district on operations, finances, curriculum and personnel. Raynor said Hooper, who is approaching 80, has failed Hempstead students. 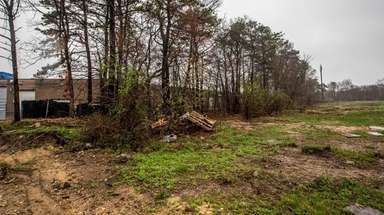 In May, the grocery chain reversed its decision to close its Fulton Avenue store in response to objections from residents and community leaders, including Hooper. An earlier version of this story incorrectly stated when Raynor is challenging Hooper. It is in the September primary election.